Accredited Counsellor in East Grinstead, West Sussex. 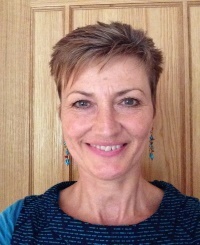 I am a qualified counsellor and have a private counselling practice based in East Grinstead. My style of working is integrative which means I use a variety of approaches to suit your individual needs and we will decide together what is best for you. I offer confidential, face to face counselling with individuals, in a comfortable and calm environment with an initial free consultation. Telephone or Skype counselling are also available. With over 12 years experience of counselling people to develop, change and enhance their lives, I work with a range of issues. Also my background in nursing means I have developed an interest in the importance between physical health and mental well being and often encourage clients to explore lifestyle choices, such as diet and exercise.